Our Sights Are On You! Square dancing is a fun, healthy, friendship-building activity and we’re glad you’re here! What’s this dancing all about? If you don’t know how to dance, don’t worry! Instruction for new dancers usually begins in September or October, with some clubs beginning in January or February. The Canadian Square and Round Dance Society is a non-profit organization dedicated to the promotion of Square, Round, Line, Contra, and Clog Dancing across Canada. Get fit and have fun for less than the cost of a pizza; have a date night for less than going to the movies; build friendships for less than the price of dinner. Join a club today. Look no further, we have the answer for you! Did you know that CSRDS has its own Facebook page where Clubs are invited to post links to their own club FB pages? This way, we can connect and stay in touch with members of the Canadian Square Dancing community from coast to coast, and promote dancing to the public at large. Our Pinterest page features more than 25 boards covering the range of dance forms supported by the CSRDS. 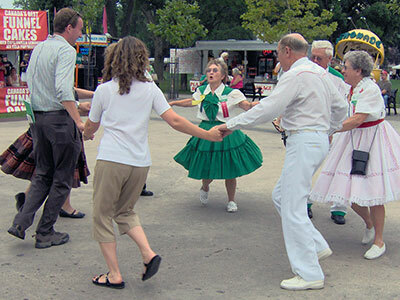 With more than 1,500 links, you’ll find Pins on everything from promotional ideas, dance videos, square dance history to nostalgia, youth square dancing, and quirky square dance videos.